The FORMULA Wheel (originally designed for the fast action of Quad Roller Ball (Rink) Hockey) is a part of the GREASE Wheel family and probably the BEST Dance Wheel available today and Skated on by more World Champions than any other wheel, especially when skating on Slipery Skating Surfaces. Roll-Line has reinvented the wheel giving it properties that are normally not achievable in one wheel, Tight Grip and Super Roll. Roll-Line based the design on that of the Low Rider Tire concept. Large Hub and a Smaller, Thinner Tread, and produced one of the LIGHTEST, TIGHTEST, and BEST ROLLING wheels available. 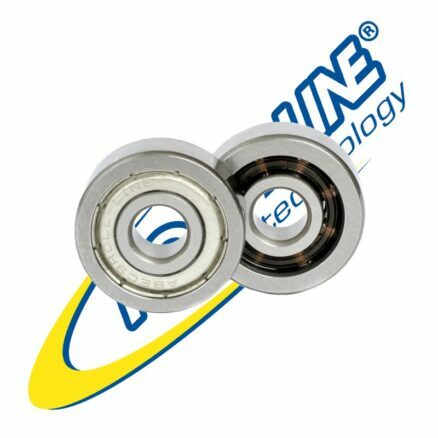 Roll-Line has developed the Delrin Hub which is incredibly Strong, very Light, and with extremely Close Tolerances for Roundness, Trueness, and for the Cage where the Bearings and Spacers are mounted. The Roll-Line Tread is a Cast Urethane BiCompound Formula, which provides Tight Grip, without the tire compression that is normally associated with a wheel of this caliber. The lack of tire compression, along with the thinner tread, mounted on the Roll-Line Hub, is what provides the INCREDIBLE ROLL. The Grease 92A, 95A, and 97A Wheels are for skating surfaces a large range of grip. The outside face of the Hubs on FORMULA are Silver Chromed, while the color of the back side of the hub identifies which hardness the wheel is. 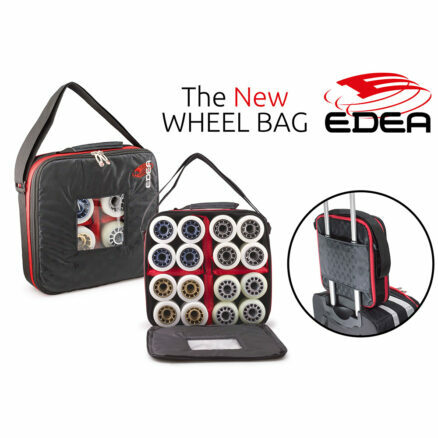 In the USA, most popular Wheels which are used by most Skaters, are the GREASE 95A (which is similar to others 101A in grip, but with more ROLL), while the GREASE 92A is used for the ability to press those Strong Edges on Skating Surfaces that are a bit less than tight. 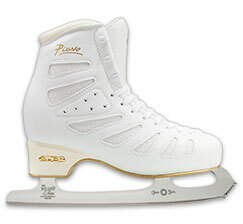 The GREASE 97A (which is similar to others 103A in grip, but with more ROLL), is best used on high level competitive Skating Surfaces that are a bit more Tight to provide that incredible ROLL. 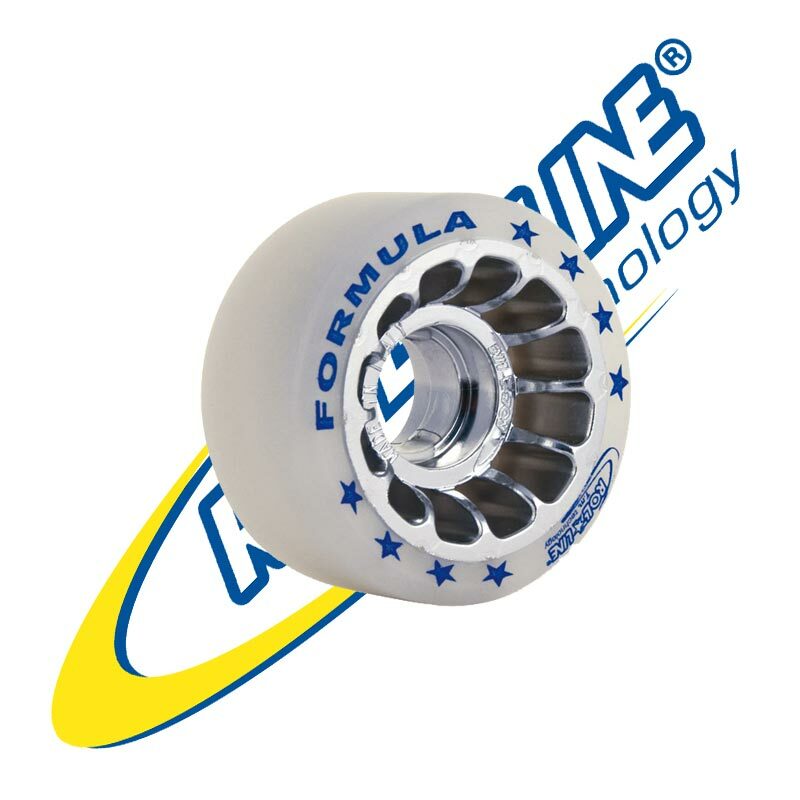 The Roll-Line FORMULA Wheels grip on a great on a variety of surfaces from Terazzo to smooth polished Concrete to Sport Court and Skate Court as well as traditional coated Skating Surfaces that are on the Slippery side. While the FORMULA Wheels provide the extra GRIP the large Hub also provides that ROLL. The Extra Grip of the Roll-Line FORMULA is especially helpful to Roller Derby Skaters where weaving and bobbing in and around is extremely important. Especially for Roller Derby, the narrower wheel profile of all Roll-Line Wheels allows thghter cross-overs that are a constant. The softer the wheel, or lower Shore “A” hardness number, the more the grip and slightly less roll. The harder the wheel, or higher Shore “A” number, the more the roll, with slightly less grip. It is almost always recommended to use spacers in the wheels, when using standard 7mm bearings. Long ago, before the use of Lock Nuts (the nuts that have the Nylon Plastic inserts) to hold the wheels on the axles, Jam Nuts were used, but when the spacer was not as wide as the web of the wheel, or the wheel was not machined accurately, the bearings would lock up, the nut had to be tight, and could not be “backed-off”. This method, of locking the Axle Nut down, did promote proper bearing alignment and did increase the diameter of the axle from 7mm to approximately 14mm, because everything was locked down, which also saved the problems of bent axles. Today we do use Lock Nuts. It is still very advisable to lock everything down (especially for FreeStyle, Jam, and Roller Derby Skaters). 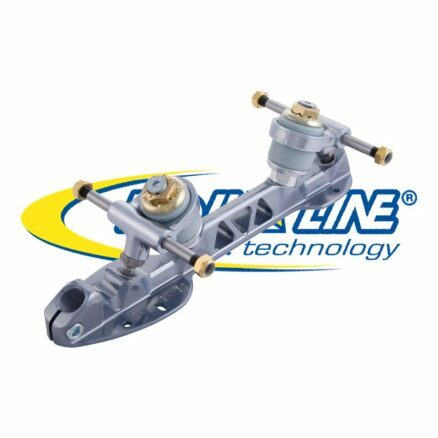 Roll-Line does provide Spacers for Roll-Line Wheels with each pair of Frames or they can be purchased separately. Properly locking the Wheels down when using standard bearing types, will also promote longer bearing life. 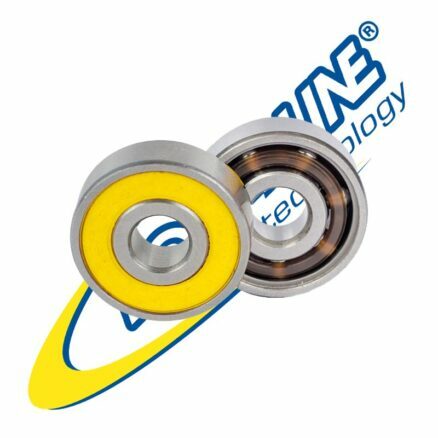 The Roll-Line SpeedRace Bearings have 7 balls and a rubber sealant Shield and the SpeedMax have 8 balls and a metal Shield and are ONLY available for 7mm Axles. The Roll-Line SpeedRace & SpeedMax Bearings are skated on by most of the World level FreeStyle Skaters and Champions. When ordering Sets of Wheels from SkatesUS.com, directly via E-Mail (OrderDesk@SkatesUS.com) or by phone (765) 935-7477, multiple HARDNESSES of the SAME Type and Size Wheels may be mixed. 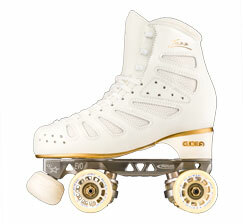 In most cases, the GREASE family of Wheels are rarely used in mixed sets, as these types of Skating tend to utilize all of the edges as pivots and still the extreme long roll is desired. We are unable to do this with online orders or when at Special Events and Competitions, please contact us directly, and our Dealers may not offer this service.